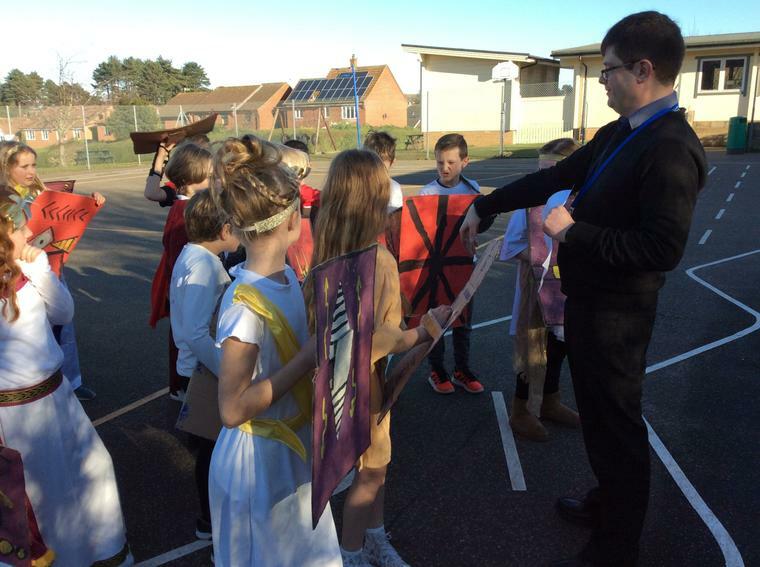 Year 4 celebrated the end of their Roman Topic today by holding a Roman Day. The children dressed up in Roman costume, made clay temples, a collaborative mosaic, designed a wanted poster for Boudicca, wrote a letter as a Roman solder and finally re-enacted a Roman battle scene. More photos of the day can be seen on the Year 4 page.